We stock three ranges of frameless and semi-frameless shower screens to suit your clients needs, all of which are guaranteed to leave them speechless. 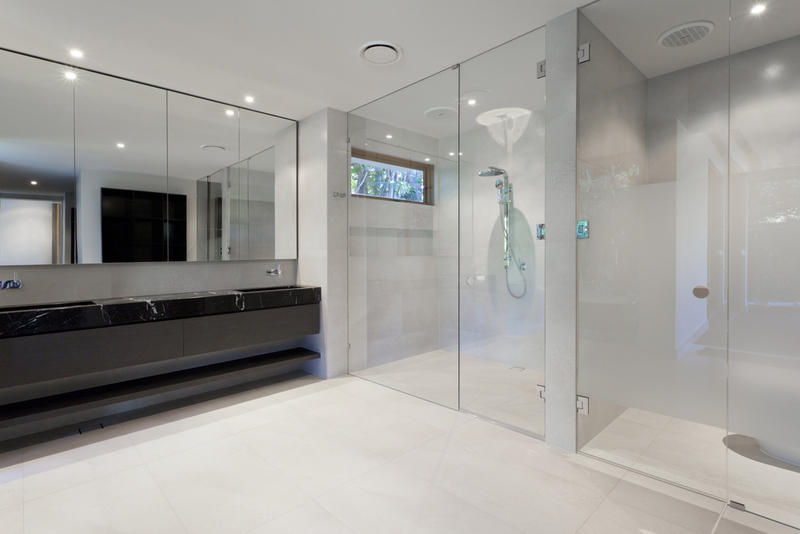 A frameless or semi-frameless shower screen is a show piece in any bathroom, adding enormous value and beauty. For the ultimate in WOW factor, nothing can surpass a frameless showerscreen coupled with the highest quality chromed brass fittings. Our Purity range offers a large range of modular glass panels with the highest quality fittings. Now a million dollar look is possible at unbelievable trade prices. Our shower hinges have been improved and a huge range of new features are now included! The Trilogy Series offers the luxury look and feel that you want in your bathroom, while still maintaining a great price. Available in either an L Shape or an Inline configuration with up to 170mm of width adjustment, this range covers all bases. Each configuration is available in two sizes, which come flat packed ready to install straight out of the box. A comprehensive DIY guide is also included in each pack. Use the telescopic adjustment to fit inside the wall channels. Use the telescopic adjustment to alter width. Our new Stal range is a beautiful, frameless sliding showerscreen system designed to stand out from the rest, with only the best fittings used.